As usual after the merry and bacchanalian annual get-together, the committee were re-elected for another year. The newsletter still gets published periodically but contributions and ideas are always welcome. Copies of the Handbook are now free to Academic institutions so long as they pay the packaging and postage. 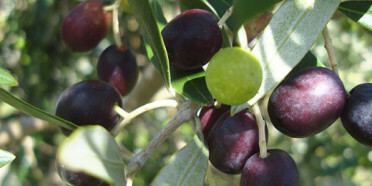 Extra-virgin olive oil can protect the liver from oxidative stress. Researchers writing in BioMed Central’s open access journal Nutrition and Metabolism exposed rats to a moderately toxic herbicide known to deplete antioxidants and cause oxidative stress, finding that those rats fed on a diet containing the Olive oil were partially protected from the resulting liver damage. Active work is being carried out under the project management of Standards Australia. The draft standard will be released on the website in December for anyone to comment on. The standard will eliminate confusing nomenclature for olive oils in the trade, and will also set new analyses for determining shelf life. A new book has been published on “Fish Oil Replacement and Alternative Lipid Sources in Aquaculture Feeds”. As a result of decades of unsustainable fishing practices, there is currently great urgency within aquaculture to find and implement sustainable alternatives to fish meal and fish oil, and to transform aquaculture into an environmentally friendly and economically viable means of increasing the global supply of fish and seafood. The first comprehensive review on the multifaceted, complex issues relative to fish oil shortages and fish oil substitution in the formulation and production of feed for farmed aquatic species, this book addresses crucial questions regarding the ability to meet increasing global demand for fisheries products. A recent scientific paper discusses findings that omega-3 containing fish oils may activate genes that regulate fat cell differentiation and glucose homeostasis, according to new research on mice. The new study published in Journal of Nutritional Biochemistry suggests supplementation with fish oils activates the transcription factor PPARγ, increasing regulation of adipocytes and helps to maintain glucose homeostasis. Peroxisome-proliferator-activated receptor γ (PPARγ) is considered an important transcription factor in regulating fat cell (adipocyte) differentiation, and is also known to play a vital role in maintaining glucose homeostasis. The transcription factor is a target for many anti-diabetic drugs as activation promotes glucose dispersal. “We demonstrated that adipogenic genes and glucose metabolism genes were elevated in PPARγ transgenic mice when fed fish oil. This transgenic mouse model provided direct evidence to demonstrate PUFA, especially EPA and DHA, regulate glucose homeostasis through interaction with PPARγ,” wrote the researchers, led by Dr Yu-Hsiang Yu from the National Taiwan University. Activation of PPARγ occurs through the binding of specific ligand molecules; however, polyunsaturated fatty acids such as arachidonic acid, eicosapentaenoic acid (EPA) and docosahexaenoic acid (DHA) are also known to have a high binding affinity for PPARγ. The authors said the current experiment was designed to determine the potential for PUFA, particularly EPA and DHA, to activate the function of PPARγ in vivo. Whilst at a very early stage the research may offer hope for alleviating diabetes. This conference termed,”Remembering the past + feeding the future” is being held in Dunedin this coming February. I was lucky enough recently to receive a book as a gift (for an ancient birthday). Chocolate Wars by Deborah Cadbury are a fascinating history of Cadbury’s chocolates and how it ended up in the hands of Kraft. An interesting oils and fats perspective occurs early in the book where cocoa adulteration is discussed. In the early 19th century, although cocoa was promoted as a health drink, it had a mixed reputation. Unscrupulous traders adulterated cocoa with brick dust and added other questionable additives. Such dishonest dealers also found that the expensive cocoa butter could be stretched a little further by the addition of olive or almond oil, or even animal fats such as veal tallow. The unwary consumer could find himself purchasing a drink which could not only turn rancid, but was actually harmful. Misleading nutritional advice is still appearing in mainstream media. Whilst 90% of the material is factual on labelling of food additives, the interpretation of dietary regimes and advice is sometimes a little off the mark. This author was particularly irked to see the term ‘hydrogenising’ for hydrogenating. Why don’t these journalists just touch base with someone who can comment objectively on their material?